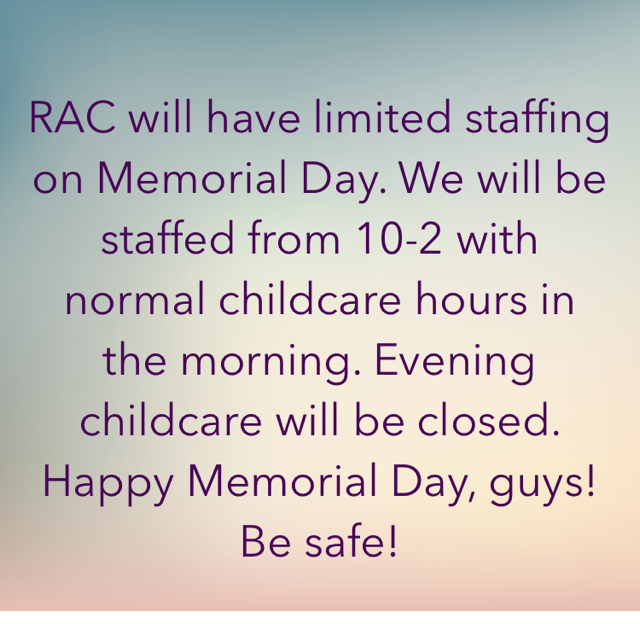 Parable - RAC will have limited staffing on Memorial Day. We will be staffed from 10-2 with normal childcare hours in the morning. Evening childcare will be closed. Happy Memorial Day, guys! Be safe!